John Wingate Weeks (April 11, 1860–July 12, 1926) was an American politician in the Republican Party. 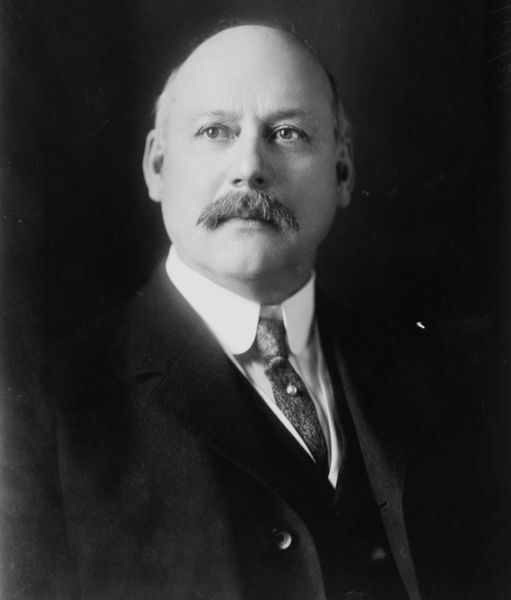 He served as a United States Representative for Massachusetts from 1905 to 1913, as a United States Senator from 1913 to 1919, and as Secretary of War from 1921 to 1925. Weeks was born and raised in Lancaster, New Hampshire. He received an appointment to the United States Naval Academy, graduating in 1881, and served two years in the United States Navy. Weeks made a fortune in banking during the 1890s, after co-founding the Boston financial firm Hornblower and Weeks in 1888. 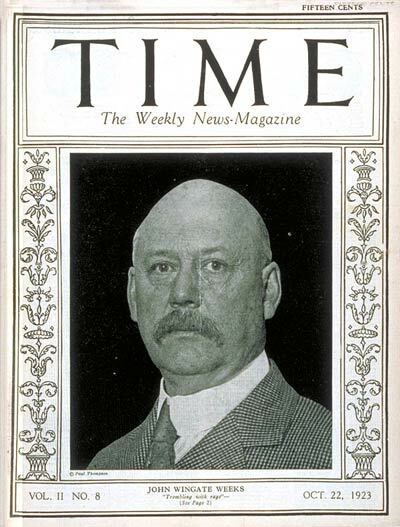 With his financial well-being assured, Weeks became active in politics, first at a local level in his then-home of Newton, Massachusetts (he served as alderman in 1899-1902 and as mayor in 1903-04), then on the national scene. As a member of the United States House of Representatives and United States Senate, Weeks was notable mostly for his contributions to banking and conservation legislation, including the Weeks Act in 1911 that created the foundation for the United States National Forest system. Despite his defeat for re-election to the Senate in 1918, Weeks remained an active and influential participant in the national Republican Party. He was an early supporter of the nomination of Warren G. Harding for President in 1920, and when Harding became President, he named Weeks to his cabinet. 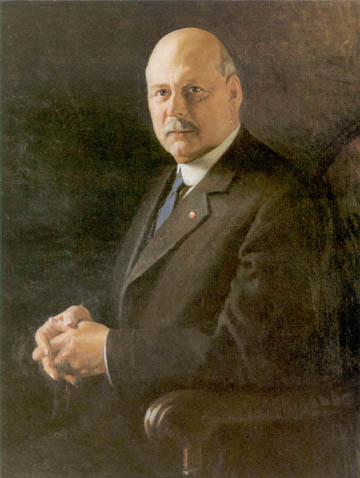 As Secretary of War, Weeks was a competent, honest, and respected administrator and adviser, who guided the Department of War through its post-World War I downsizing. Weeks' hard work and long hours led to a stroke in April 1925, which led in turn to his resignation as Secretary in October of that year. Weeks died several months later, at his summer home on Mount Prospect in Lancaster, New Hampshire. That building is now open for tours as part of the Weeks State Park. Weeks' son, Charles Sinclair Weeks, was Secretary of Commerce during the Eisenhower administration. Weeks' cousin, Edgar Weeks, was a U.S. Representative from Michigan. His grand-uncle, also named John Wingate Weeks (1781-1853), was a Major in the U.S. Army during the War of 1812 and a U.S. Representative from New Hampshire. Born near Lancaster, New Hampshire, April 11, 1860, he attended the common schools and was a school teacher for a period. He graduated from the United States Naval Academy in 1881 and served as a Midshipman, 1881-83. He resigned from the Navy in 1883 and took up the profession of civil engineering; he engaged in the banking and brokerage business in Boston, 1888-1914; served in the Massachusetts Naval Brigade, 1890-1900, acting as Commander for the last six years. He moved to Newton, Massachusetts in 1893; served as a member of the Board of Visitors, U.S. Naval Academy in 1896; served in the Spanish-American War as a Lieutenant in the Volunteer Navy, 1898; member of the Board of Aldermen of Newton, 1899-1902; mayor of Newton, 1902-03; elected as a Republican to the 59th and the four succeeding Congresses. He served from March 4, 1905 until his resignation, effective March 4, 1913, to become United States Senator from Massachusetts. He was Chairman, Committee on Expenditures in the Department of State (59th and 60th Congresses); elected as a Republican to the Senate and served March 4, 1913 to March 3, 1919; He was an unsuccessful candidate for re-election, 1918. He was appointed Secretary of War by President Warren G. Harding in 1921 and again by President Calvin Coolidge and he served until 1925 when he resigned due to ill health. He died at Lancester, New Hampshire, July 12, 1926. His remains were cremated and his ashes were buried in Section 5 of Arlington National Cemetery. His wife, Martha A. Sinclair Weeks (who he married on October 7, 1885), 1855-1930, is buried with him. While serving as Secretary of War, he approved the placement of the Argonne Cross in Arlington in remembrance of those Americans killed in World War I. WEEKS, John Wingate, (father of Sinclair Weeks and cousin of Edgar Weeks), a Representative and a Senator from Massachusetts; born near Lancaster, N.H., April 11, 1860; attended the common schools; taught school; graduated from the United States Naval Academy, Annapolis, Md., in 1881; served in the United States Navy as a midshipman 1881-1883; resigned from the Navy in 1883 and took up the profession of civil engineering; became engaged in the banking and brokerage business in Boston, Mass., 1888-1914; served in the Massachusetts Naval Brigade 1890-1900, acting as commander the last six years; moved to Newton, Mass., in 1893; member of the Board of Visitors to the United States Naval Academy in 1896; served in the Spanish-American War as a lieutenant in the Volunteer Navy 1898; member of the board of aldermen of Newton, Mass., 1899-1902; mayor of Newton 1902-1903; elected as a Republican to the Fifty-ninth and to the four succeeding Congresses and served from March 4, 1905, until his resignation effective March 4, 1913, to become United States Senator; chairman, Committee on Expenditures in the Department of State (Fifty-ninth and Sixtieth Congresses), Committee on Post Office and Post Roads (Sixty-first Congress); elected as a Republican to the United States Senate and served from March 4, 1913, to March 3, 1919; unsuccessful candidate for reelection in 1918; chairman, Committee on the Disposition of Useless Executive Papers (Sixty-fifth Congress); appointed Secretary of War by President Warren Harding in 1921, and again by President Calvin Coolidge, and served until 1925, when he resigned due to ill health; died in Lancaster, N.H., July 12, 1926; remains were cremated and the ashes interred in Arlington National Cemetery, Fort Myer, Va.